A die-hard conservative would obviously prefer Paul Ryan's rebuttal over President Obama's State of the Union address. A die-hard liberal would prefer the reverse. There are more conservatives than liberals. However, as for moderates, it seems to me that the contrast between Obama's speech and Ryan's redounds overwhelmingly to Obama's benefit. Obama framed every issue in specific terms -- here is a plan to improve education, here is a factory that is now growing due to my policy, here is a person who would suffer if we repeal health care reform. Ryan's speech existed almost entirely on the plane of abstraction. 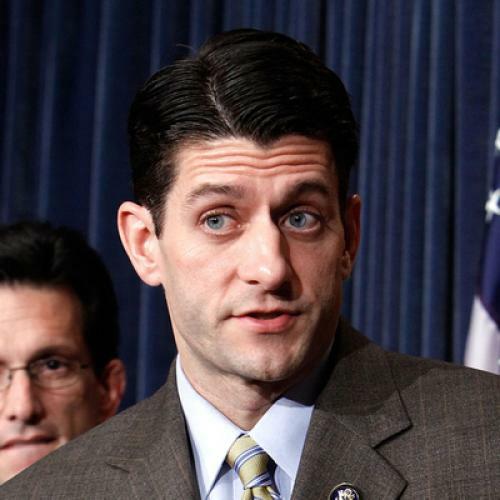 Obama's meta-theme was pitched straight at the center, while Ryan's was pure right-wing dogma. I don't think these speeches matter much, and the response never beats the address, but I can't imagine the contrast helped Republicans.